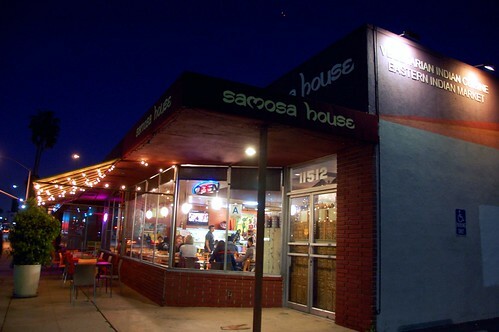 Samosa House isn't just a vegetarian Indian fast food place. 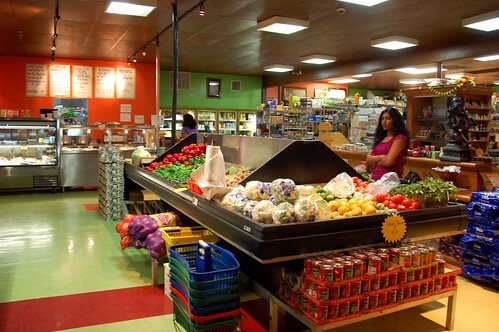 It's also a market where suspicious women give you the stink-eye for taking a photo during their produce perusal. Samosa House was not our intended destination this night. We and our pals, the Cruisers, wanted to go to A-Frame, but A-Frame was packed. We then headed down the street to this place full of spicy aromas, Indian groceries, and vegetarian hipsters with unkempt hair under thrift store hats. 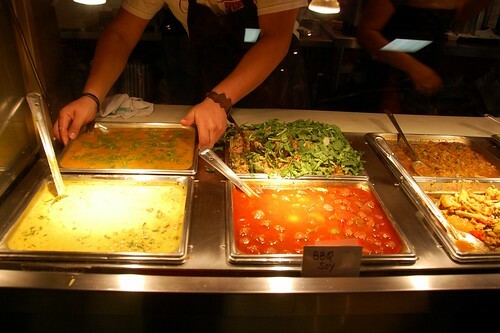 When you partake of the "deli" section, it's like you're at a high school cafeteria that serves only vegetarian Indian food. 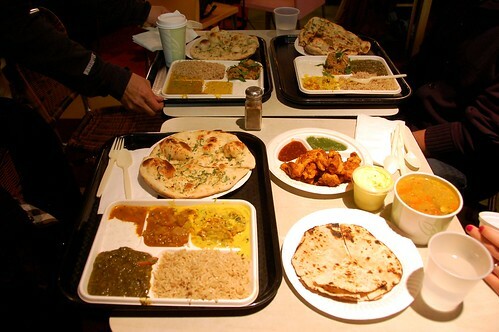 Combination plates cost $7.99 and include three mains, rice, and naan. If you live on the west side, don't eat meat, and have no taste buds, this is the perfect take-out food for you! Here was our stash. In addition to combination plates, we got samosas ($1.50 each), pakoras ($2.99), and one of the least appetizing desserts that I've ever had in my life. The combination plates were unexciting, and everything tasted the same after about five minutes. The samosas and pakoras were decent. 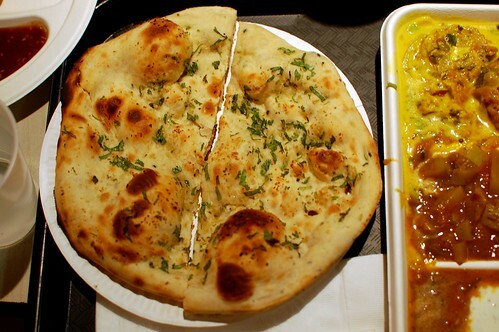 The naan was fine. But this dessert? Blech! 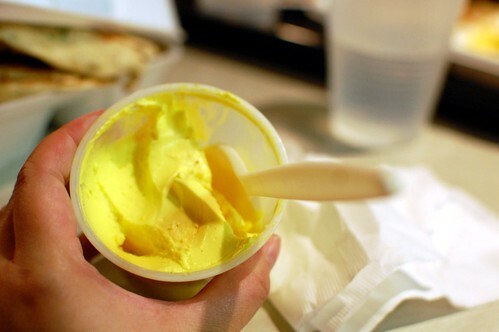 It was like eating almost flavorless butter with a perfumey tinge. I am gagging just looking at this photo. Bad memories. 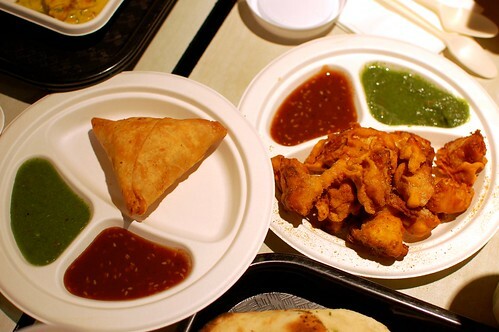 The love for Samosa House baffles me. I expected more flavor from a place that smelled so strongly of spices. 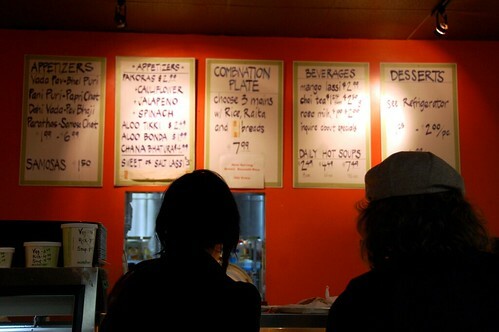 I also expected amazing samosas, given the restaurant's namesake. I got neither. 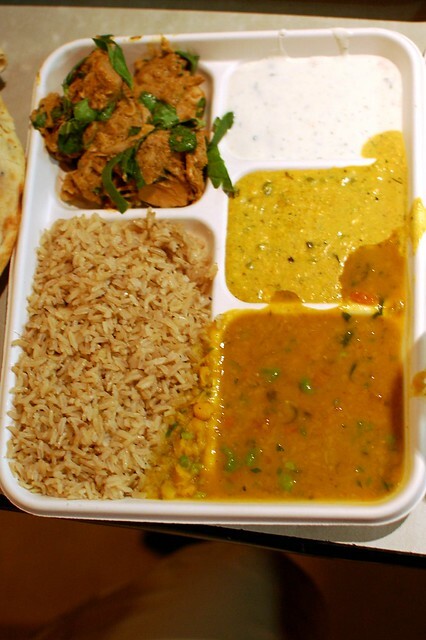 I need to go eat some Indian food. We have a decent place in our town. On behalf of my people, I apologize. That looks terrible! i can't get over the lady with the stink eye, that picture is just too funny. You would think a restaurant that has it's own fresh supply of ingredients would be fabulous. lol I am dying (dying!) at the thought of you guys there instead of A Frame. 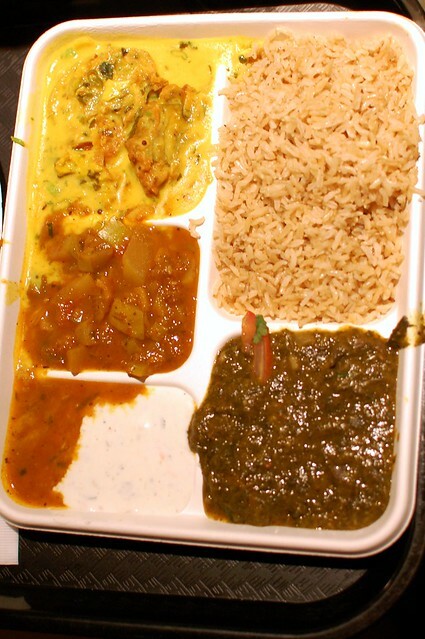 have you tried india sweet & spice? it's pretty much the same idea as samosa house and it's where I go to get my indian kick.